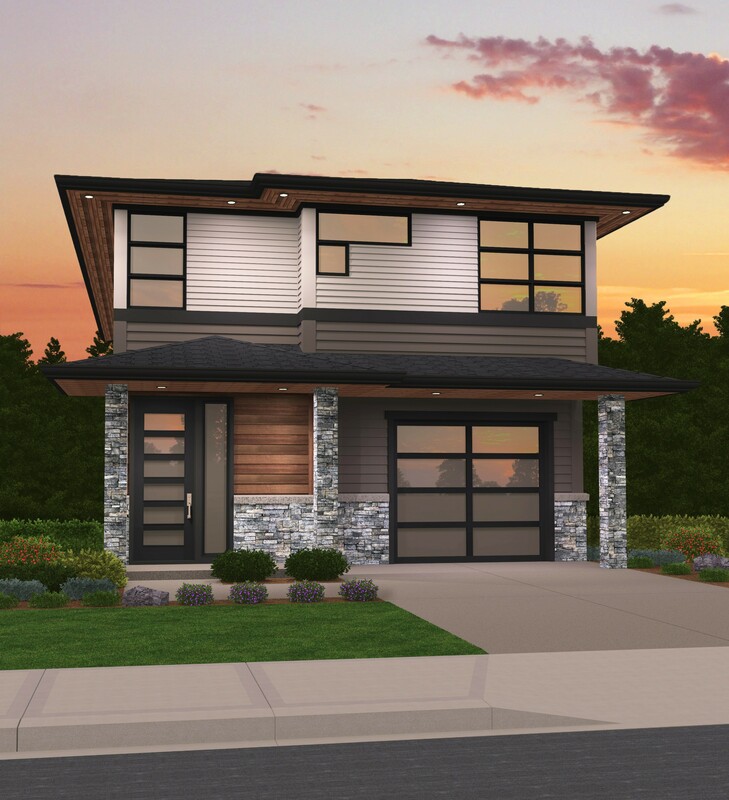 This charming two story northwest modern house plan has been thoughtfully designed for efficiency of space, comfort and privacy, and at just under 30 feet wide this home feels much larger than it is. The main floor of this home features a powder room under the stairs right upon entry to the home, through the foyer is the spacious L shaped kitchen with an impressive center island that opens up to the dining room and great room. There is also a modest outdoor covered patio off the great room. 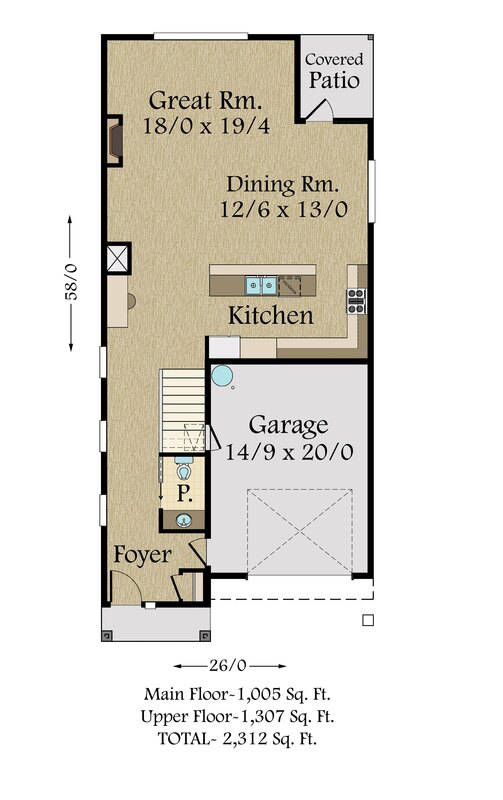 The upper level has two spacious bedrooms, a full bathroom with double sinks, the utility room and the master suite, complete with a dreamy standalone soaking tub, separate shower, side by side sinks and a large walk in closet. The master suite is situated at the rear of the upper floor ensuring maximum privacy.